The Mathematical Sciences Research Institute (MSRI) and George Csicsery have started production of a one-hour documentary film about a remarkable mathematician whose contributions were recognized with a Fields Medal just a few years before her untimely death. The biographical film is about Maryam Mirzakhani, a brilliant woman, and Muslim immigrant to the United States who became a superstar in her field. The story of her life will be complemented with sections about Mirzakhani’s mathematical contributions, as explained by colleagues and illustrated with animated sequences. Throughout, we will look for clues about the sources of Mirzakhani’s insights and creativity. 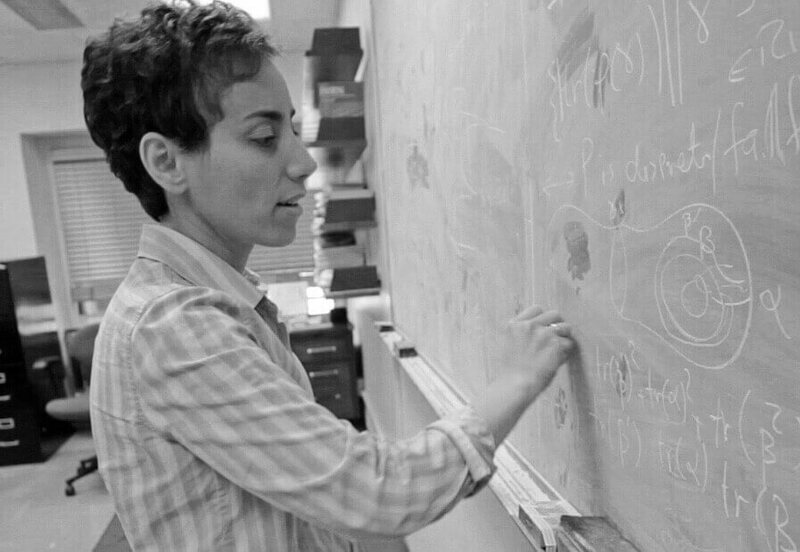 Maryam Mirzakhani مریم میرزاخانی‎‎, (1977 – 2017) attended Tehran Farzanegan School, part of the National Organization for Development of Exceptional Talents (NODET). In 1994, Mirzakhani achieved the gold medal level in the International Mathematical Olympiad, the first female Iranian student to do so. In the 1995 International Mathematical Olympiad, she became the first Iranian student to achieve a perfect score and to win two gold medals. She obtained her BSc in mathematics in 1999 from the Sharif University of Technology. She then went to the United States for graduate work, earning her PhD in 2004 from Harvard University, where she worked under the supervision of Fields Medalist Curtis T. McMullen. At Harvard she is said to have been "distinguished by ... determination and relentless questioning", despite not being a native English-speaker, and took her class notes in Persian. Mirzakhani was a 2004 research fellow of the Clay Mathematics Institute and a professor at Princeton University. In 2008 she became a professor at Stanford University. Her research topics included Teichmüller theory, hyperbolic geometry, ergodic theory, and symplectic geometry. 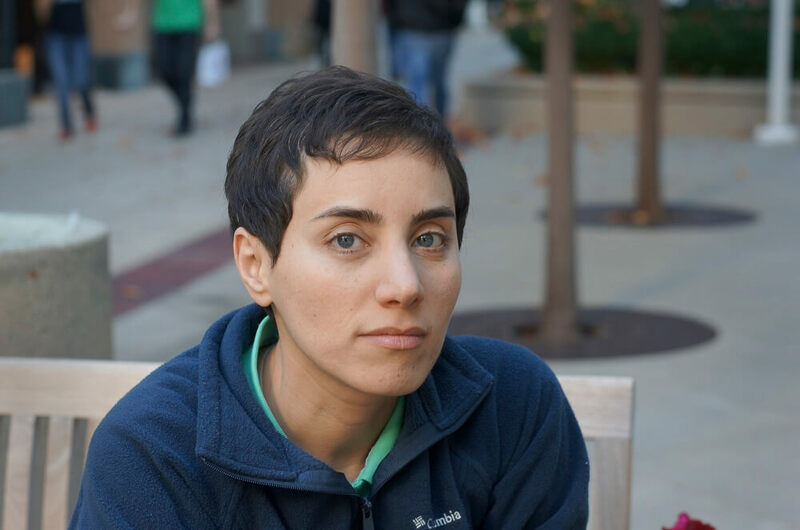 Mirzakhani made several contributions to the theory of moduli spaces of Riemann surfaces, a space that encodes all possible uniform geometries on a fixed surface. She discovered a formula expressing the volume of the moduli space of surfaces of type (g,n) with given boundary lengths as a polynomial in those lengths. This led her to a new proof for the Witten-Kontsevich formula on the intersection numbers of tautological classes on moduli space, as well as an asymptotic formula for the polynomial growth of the number of simple closed geodesics on a compact hyperbolic surface. Her subsequent work focused on dynamics on moduli space, how surfaces behave under certain deformations. She proved a long-standing conjecture that the earthquake flow on Teichmüller space (introduced by Thurston), given by shearing along curve systems, is ergodic: earthquake paths through typical surfaces can approximate any possible uniform geometry. In 2014, with Alex Eskin and with input from Amir Mohammadi, Mirzakhani proved that complex geodesics and their closures in moduli space are surprisingly regular, rather than irregular or fractal. The International Mathematical Union said in its press release that "it is astounding to find that the rigidity in homogeneous spaces has an echo in the inhomogeneous world of moduli space." In 2014, she became both the first woman and the first Iranian to be honored with the Fields Medal. The award committee cited her work in "the dynamics and geometry of Riemann surfaces and their moduli spaces". Maryam Mirzakhani was married to Jan Vondrák, a Czech mathematician and eventual colleague. They had one child. Mirzakhani died of breast cancer in 2017 at the age of 40. Despite her every effort to avoid public attention, Mirzakhani’s achievements brought her accolades and publicity. She was widely revered in Iran. After her death, Iranian president Hassan Rouhani said "unprecedented brilliance of this creative scientist and modest human being, who made Iran's name resonate in the world's scientific forums, was a turning point in showing the great will of Iranian women and young people on the path towards reaching the peaks of glory and in various international arenas." And Sharif University of Technology announced that its faculty of mathematics will be renamed "Mirzakhani". Mirzakhani’s discoveries in the areas of counting simple closed curves on hyperbolic surfaces; geometry on the spaces of surfaces; and the trajectories of billiard balls polygons have provided insights in many different areas of mathematics and mathematical physics, and opened the door for expansion in a number of areas. Her depth of insight in mathematics was matched by her depth as a caring and generous human being who exhibited humility even as she achieved the highest honors. Our film will reflect this unique combination of qualities. The path of her education, her success on Iran’s IMO team, and her brilliant contributions to mathematics, make her an ideal role model for girls looking towards careers in science and mathematics. This fact was recognized by mathematicians when Mirzakhani was awarded the Fields Medal in 2014. Our documentary film is meant to introduce her to a wider public through exposure on public television, and educational media platforms. Mirzakhani’s discoveries in the areas of counting simple closed curves on hyperbolic surfaces, spaces of surfaces, and the trajectories of billiard balls has provided insights in mathematical physics and opened the door for expansion in a number of areas. Mirzakhani’s depth of insight in mathematics was matched by her depth as a caring and generous human being who exhibited humility even as she achieved the highest honors. Our film will reflect this unique combination of qualities. The path of her education, her success on Iran’s IMO team, and her brilliant contributions to mathematics, make Mirzakhani an ideal role model for girls looking toward careers in science and mathematics. This fact was recognized by mathematicians when Mirzakhani was awarded the Fields Medal in 2014. Our documentary film will introduce her to a wider public through exposure on public television, and educational media platforms. The story of the most prominent woman in mathematics of her generation should encourage and inspire girls to persist in the field, just as the story of Julia Robinson inspired today’s women mathematicians when they were high school and college students a decade or two earlier.